Whenever you feel that your Honda needs a little tender loving care, Drift Bridge Group is here for you. Our Gatwick Honda and Redhill Honda sites are each fully equipped with the latest diagnostic and repair technology, which is operated by our Honda-trained technicians. We only ever use authentic Honda components too. These manufacturer-approved parts are designed to work seamlessly with your vehicle, and built to last longer than cheaper imitations – and they won’t invalidate your car’s warranty. Even if your vehicle appears to be operating efficiently, it’s always advisable for it to undergo regular service checks. This is because any potential underlying issues are not always easy to detect – and you don’t want to find out later that costly repair work becomes a necessity. A well-maintained car will provide optimal service for many years to come, while holding its market value should you choose to sell it. We offer a range of service plans, each providing a cost-effective way to ensure your Honda remains in peak condition. With our servicing and repair offers, you can take advantage of our first-rate aftersales care – and save even more money in the process. Our maintenance deals are presented all year round and include seasonal health checks that enable you and your car to be ready, no matter what the weather has in store. 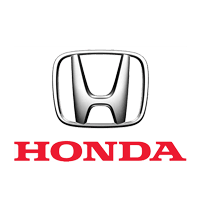 Whether you own an older Honda vehicle or a brand new model, our highly qualified and experienced team possess the requisite expertise to fix any issues. From simple cosmetic repairs to all-inclusive maintenance, we’ll soon have your car looking its best and operating at maximum capacity. You can book a service, repair or MOT with us at any time by completing our online contact form. If you prefer, don’t hesitate to get in touch with us by phone or in person – we are open seven days a week.